See our current collection of Sukajan Jackets. 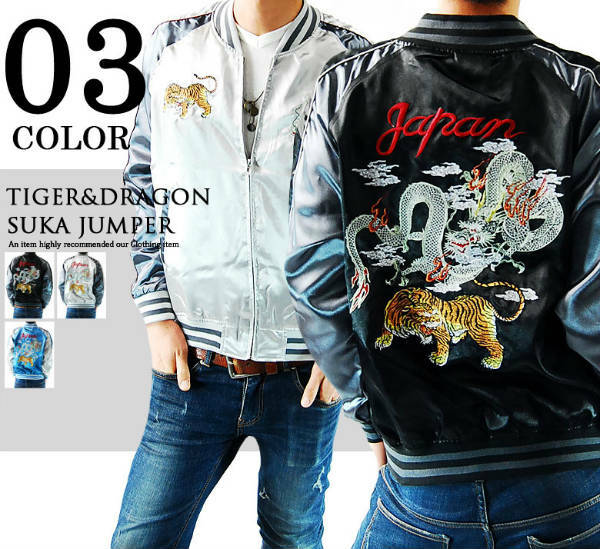 As you may know, the word “sukajan” is an abbreviation of Yokusuka Jumper, the name given to a style of satin jackets that became popular with GI’s in Japan after World War II. They’re also known as souvenir jackets. 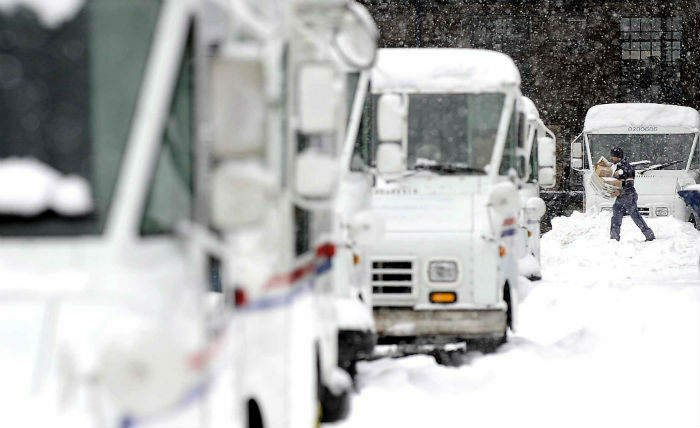 They come in a variety of colors and usually have elaborate embroidered designs on the front and back, with ribbed collars and cuffs. 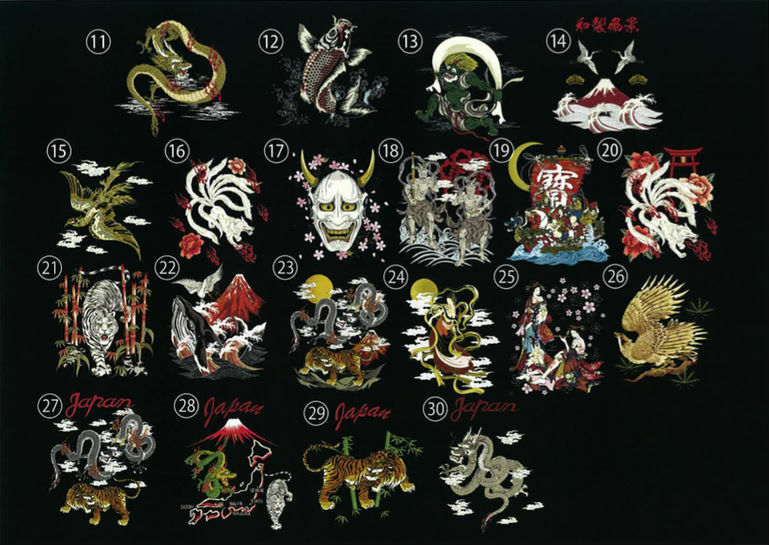 The most popular designs are traditional and iconic images such as dragons, tigers, carp, geishas and maps of Japan. Although they are a stylish addition to any wardrobe, for years they have tended to be associated with gangs and rebels in general. We’ve sold sukajan for several years and they’ve always been a steady seller. But over the last year or so, reasonably priced sukajan jackets (as opposed to the really flashy ones that go for $300-$500 in Japan) have been increasingly hard to come by. Manufacturers tell us this is due to a big fall in demand for them in Japan, their main market. But this has come just as they are becoming more popular outside Japan and we were seeing more and more emails coming in from customers asking when more stock would be available. Backed up by these indicators of overseas demand, we approached one major manufacturer and finally managed to get them to sell us a batch of about 300 jackets in a dozen or so different designs and a variety of colors. These are currently selling quickly on the store and the manufacturer is now ready to take us more seriously. 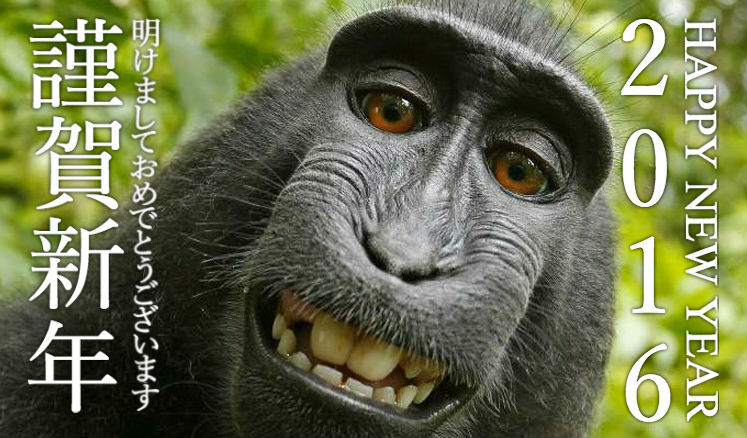 We are in discussions with them about future orders and what new designs might be popular. 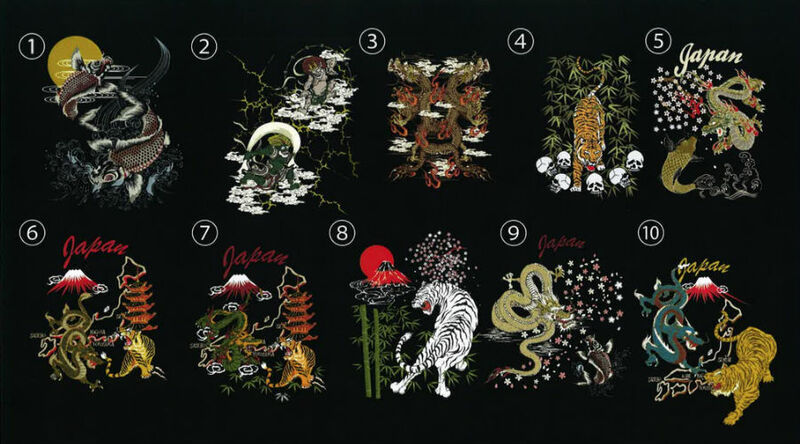 They currently have about 30 different designs to choose from but want to focus on the designs that will be popular overseas. We will soon be reaching out to our 10,000 newsletter subscribers to get an idea of which of these designs numbered 1-30 people would be most interested in wearing. Any given design will probably be made in three colors, usually black and two others from red, green, silver, grey and blue. Feel free to comment below – your feedback will be most helpful in figuring out which designs we will be selling in the near future. Studio Ghibli have done it again! For the third year in a row, Japan’s most famous anime studio has got a best animated film Academy Award nomination, this time for Omoide no Marnie (When Marnie Was There). This year’s nominations were announced in Beverly Hills last week and the awards ceremony will take place on Feb. 28. Based on a 1967 children’s book by British writer Joan G. Robinson, it tells the story of 12-year-old orphan Anna (voiced by Takatsuki Sara), who lives unhappily in Sapporo with her foster parents. 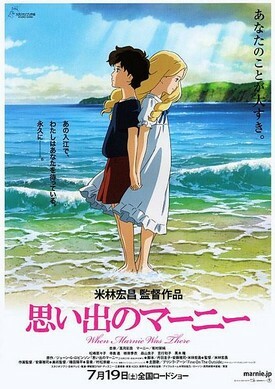 While visiting a coastal resort to recover from an asthma attack, she meets Marnie (Arimura Kasumi), a mysterious, blonde-haired girl who Anna had seen in her dreams. “Marnie…” will be up against Anomalisa, Boy and the World, Pixar’s Inside Out, and Aardman’s Shaun the Sheep Movie. The English-dubbed version features such Hollywood talent as John C. Reilly, Kathy Bates, Ellen Burstyn and Vanessa Williams. Directed by Yonebayashi Hiromasa and Nishimura Yoshiaki, it was released in Japan in the summer of 2014. It is the fifth Japanese animated film to be nominated for the award, all of which came from Studio Ghibli. But so far only the first, Sen to Chihiro no Kamikakushi (Spirited Away) in 2002, has come away with the Oscar. 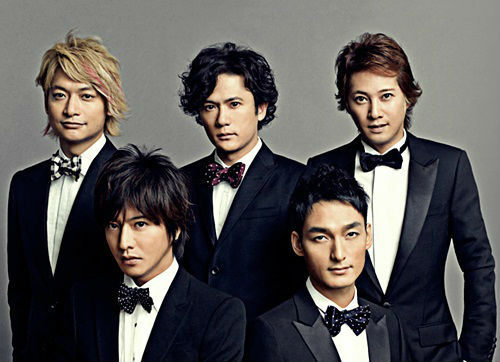 After sending the Japanese entertainment world into a flurry last week with reports that they were to split, the five members of boy band/supergroup SMAP appeared together live last night on the Fuji TV SMAPxSMAP show to apologize. Contrary to last week’s reports, they said they planned to continue with the Johnny’s Jimusho agency that has managed them over their almost 30-year career. But while each member issued a separate brief, formal apology to fans and sponsors, there was no clear statement that they would continue as SMAP. Dozens of reporters and scores of fans waited outside the Fuji TV studios late last night hoping for some clarification, but the confusion continues. End of the Road for SMAP? It has been reported today in the Japanese media that SMAP may have come to the end of the road. Members Nakai Masahiro (43), Inagaki Goro (42), Kusanagi Tsuyoshi (41) and Katori Shingo (38) are said to be leaving Johnny’s Jimusho, the agency that launched them nearly 30 years ago, with only Kimura Takuya (43) planning to stay. No date has been announced but the decision is reported to have come after the chief manager who oversaw the group at Johnny’s decided she was to quit the agency. The group made their debut in the late 1980s and have remained among Japan’s most popular cultural icons for more than two decades. SMAP (only in Japan can you find a group named Sports Music Assemble People!) was formed as a group of teenage backing dancers to other established boy bands and went through several lineup changes before their “official” launch in 1988. That 6-man lineup included Mori Katsuyuki, who left in 1996 to become a racing driver. In spite of an admitted inability to actually sing, the remaining members went on to have a series of million-selling singles, sell out dome concerts, and appear in countless TV dramas and variety shows. Their endorsements of a multitude of commercial products made sure that their faces were everywhere to be seen across Japan. Kimura was perennially voted the country’s most popular male star, even after his marriage to pop star Kudo Shizuka. No doubt all five will remain familiar faces across the spectrum of entertainment media. 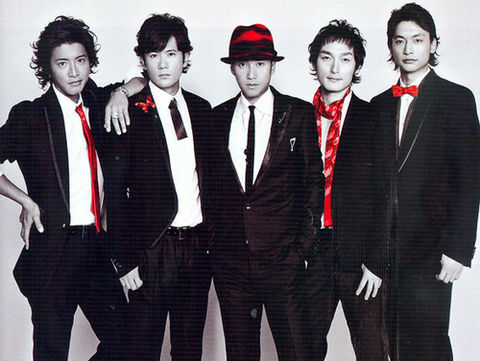 Read Japan Zone’s profile of SMAP. It’s very difficult to imagine anyone ever matching the record of Nadeshiko Japan legend Sawa Homare. The football veteran and Japan captain (37), who plays for INAC Kobe Leonessa, held a press conference in Tokyo on December 17 to announce that this will be her last season wearing the uniform. The event was attended by about 300 journalists and filmed by more than 15 TV cameras for live broadcast on all TV networks. In a career that spanned 25 years, Sawa has been a central figure in the rise of Japan to the very pinnacle of world soccer. She played her first game for the Yomiuri Beleza senior team at the tender age of 12, and was only 15 when she made her debut for the national team in 1993. She went on to play in a phenomenal six World Cups and four Olympics, gaining a record 205 caps and 83 goals for her country. As captain the midfielder led Japan to two Women’s World Cup finals, lifting the trophy in 2011, a year that saw her named as FIFA’s World Player of the Year and top scorer and MVP at the World Cup. That title lifted the country’s spirits just four months after the catastrophic earthquake and tsunami that devastated northeastern Japan, and the national team was given the People’s Honor Award by the Japanese government. At the club level, Sawa moved back and forth between leagues in japan and the United States – after starting with Beleza she moved to the U.S. in 1999, playing for the Denver Diamonds and Atlanta Beat for a total of four years. In 2004, Sawa she was back with Beleza, where she scored 47 times in 85 games. Another two seasons were spent with the Washington Freedom in 2009-10 before she joined INAC ahead of the 2011 season. Sawa announced in August that she had married former Vegalta Sendai player Hiroaki Tsujikami (38). Congratulations to Japanese comedian (or should that be comedienne?) Kotani Yuriko, who has won this year’s BBC Radio New Comedy Award. The final was held last Friday live on BBC Radio 2, and broadcast live from the Comedy Store in London on the show of veteran DJ Steve Wright. Kotani beat five other finalists, chosen from 750 audition tapes, eight regional heats and two semi-finals, with votes being cast by listeners via social media. After her win Kotani said, “I’m speechless… This is so wonderful!” She will take home £1,000 and development support from the BBC radio comedy department, with the chance to appear in slots across the BBC. Previous winners and finalists include such successful stars as Rhod Gilbert, Sarah Millican, Alan Carr, Lee Mack and Josie Long. Watch Kotani’s winning comedy set in the video link below. Actress Kawashima Naomi died Thursday of bile duct cancer at a Tokyo hospital. She was 54. Her death was announced on Facebook by her husband, pastry chef Yoroizuka Toshihiko. The pair had been married since 2009. Kawashima made her debut as a singer with “Champagne No.5” in 1979 while still a student at the prestigious Aoyama Gakuin University. She gained popularity in the early 1980s as a late-night radio DJ and on the NTV variety show “O-warai Manga Dojo,” where she displayed a very high level of manga artistry. Kawashima continued acting even after being diagnosed with cancer in 2014, and in spite of being visibly affected by the condition. Her last performance on stage was just a week ago. Kingyo Sukui literally means “goldfish scooping” and if you’ve ever been to Japanese summer matsuri (festival) you will no doubt have seen this game in action. You have a plastic scoop with a thin paper center with which you have to try to catch as many small, live goldfish swimming in a small pool as you can before the paper dissolves in the water. These days it’s more likely to be small plastic toys that you try to scoop up, which is more in keeping with current attitudes to the treatment of animals. And let’s face it, kids these days are probably more likely to look after a few little One Piece figures that care for real live fish. or it could be little rubber fish, Kitty Chans, Anpanman, or any number of popular characters. Whatever the catch of the day, this simple game is a perennial favorite at all matsuri. Another is water yoyos, which are simply water filled balloons on a rubber string. Like kingyo sukui, the challenge is to catch them with a metal hook on a length of paper “string” before the paper dissolves. And like kingyo sukui, it’s not as easy as it looks. The challenge in kingyo sukui can be modified by using different grades of paper – the thicker the paper, the longer it lasts and the easier it is to catch something. These games are increasingly becoming part of Japanese-themed culture festivals at schools and colleges across the world. 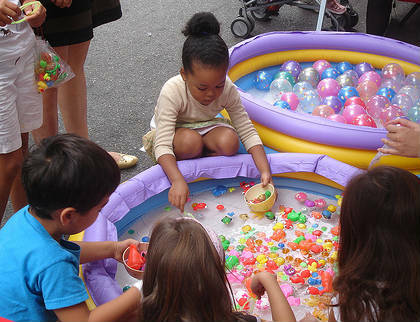 And with their simple rules and setup, as well as the colorful prizes to be won, they make an easy but unique and appealing addition to any summer event. Everything that you need to set up your own kingyo sukui or water yoyo stall is available from our Japan Store.